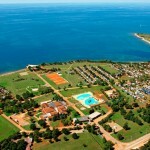 Camp Park Umag**** is located between Umag and Lovrecica in Istria, 9 kilometers from the center of Umag, close to the sea. 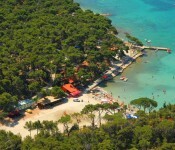 It is located in the beautiful bay, in a harmonious natural environment. 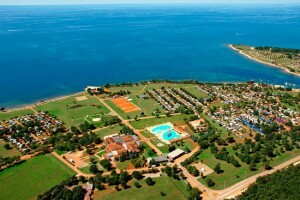 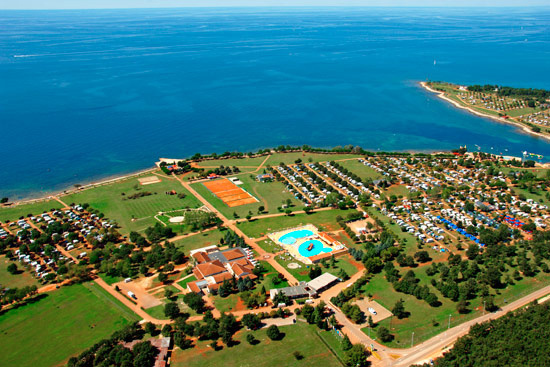 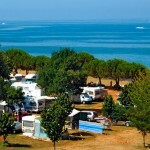 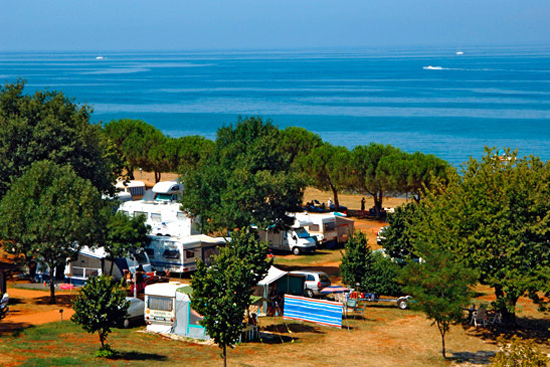 Camping Park Umag is one of the largest, best known and most highly awarded camps in the Mediterranean area, it is the largest camp in Istria. 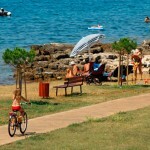 Because of its impressive environmental organization, it is called a little nature park. 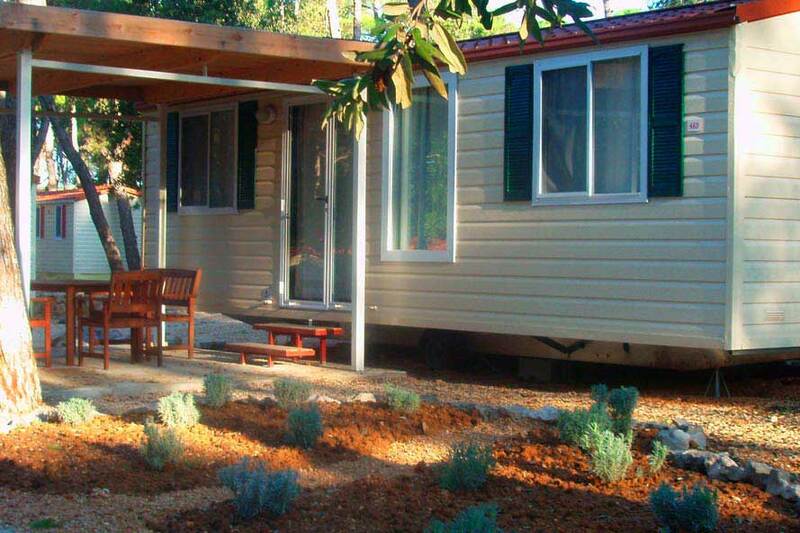 His long-standing tradition of the “outdoor hotel” offers most of what you ask for from a holiday in the nature. 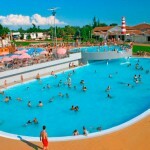 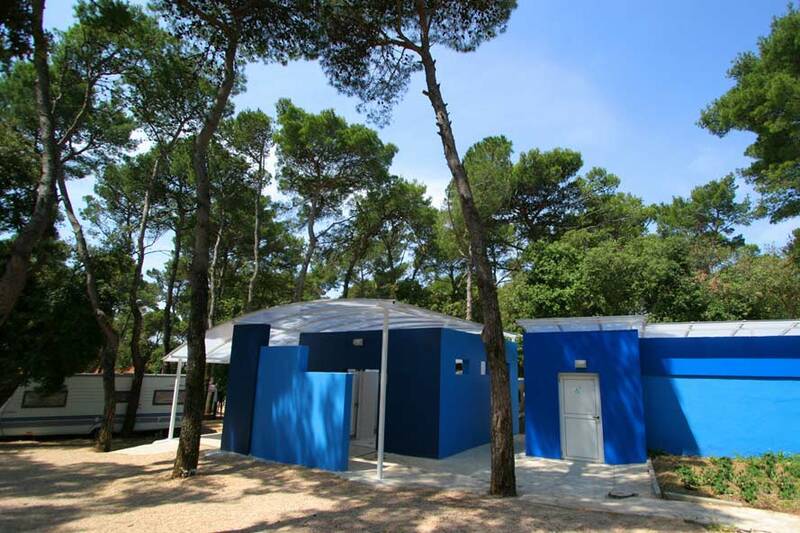 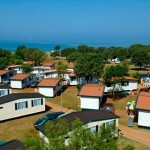 Camp Park Umag offers 2060 units, some are luxury pitches, mobile homes and the newly refurbished toilets. 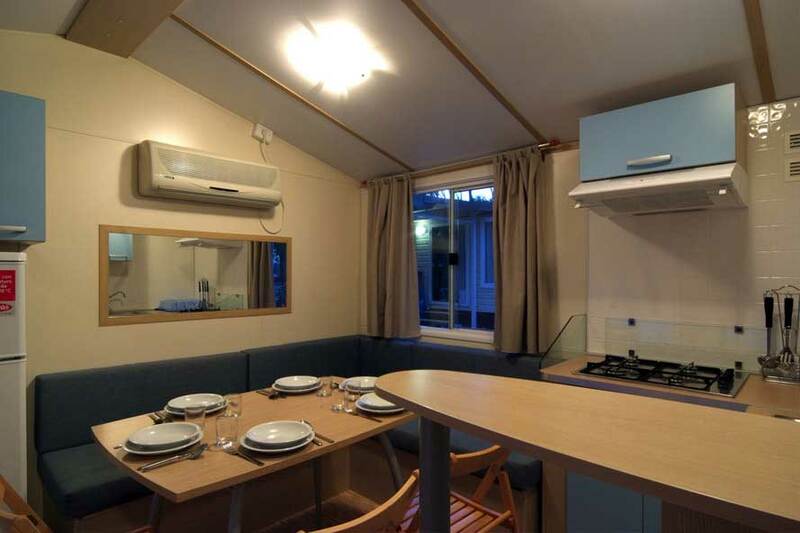 It has a large number of camping pitches on which is introduced an electricity connection, telephone and television, while a few mobile homes are equipped with kitchen, bathroom and terrace. 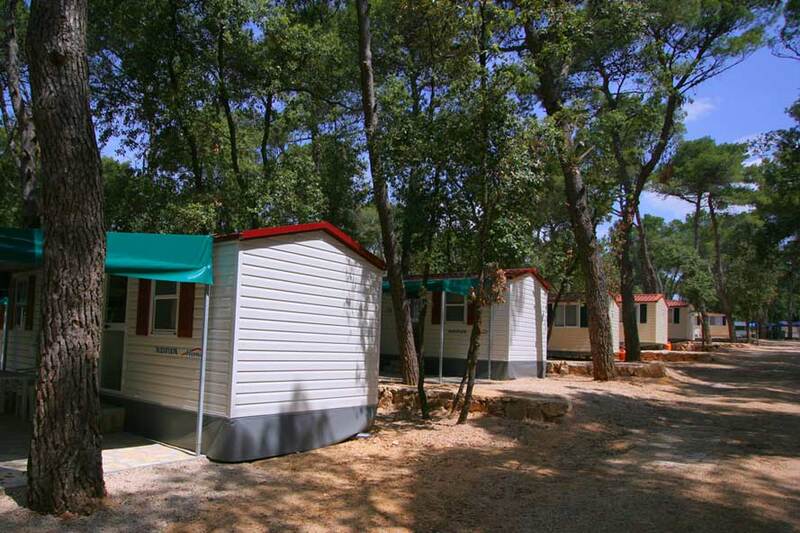 Mobile homes Casa Istria Grande offer accommodation for 6+1 persons and have a living room, kitchen with microwave and CD / radio, 3 bedrooms, bathroom / toilet with a shower and a large covered terrace. 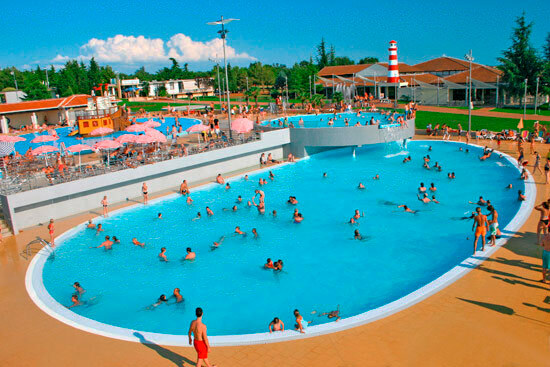 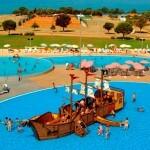 Camp Park Umag is one of the largest camps in the Mediterranean, with excellent entertainment offer that includes an animated pool, kids’ clubs and playgrounds, terraces and numerous children’s playgrounds and sports fields. 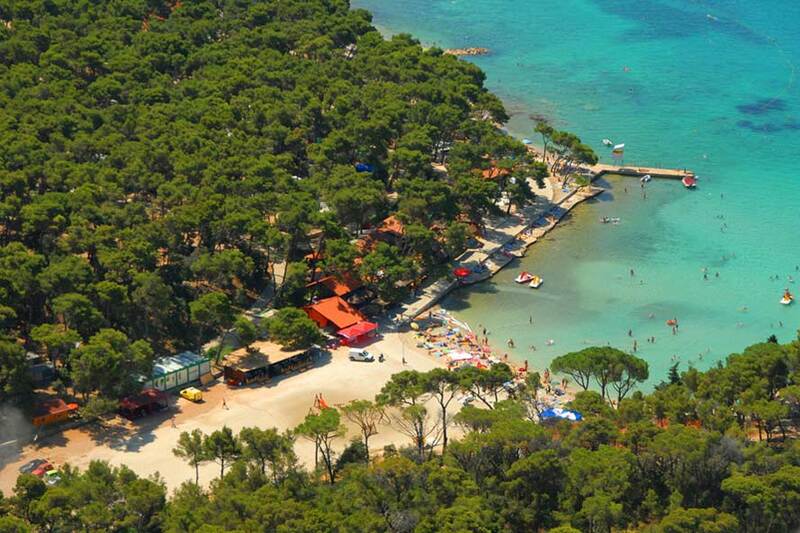 The camp has a medical clinic, several bars, a-la carte restaurant and pizzeria and a beautiful rocky beach with a paved sunbathing area which has been awarded with a Blue flag. 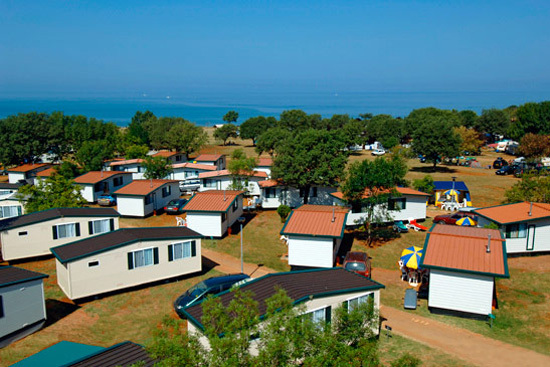 On holiday, the guests can bring pets for which is reserved a part of the beach for swimming and showers in the sanitary facilities. 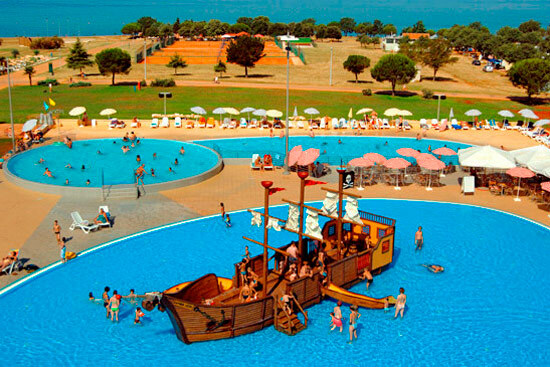 Luxury swimming pools with waterfalls, castles and pirate ship, are fit into the green grassy areas and nature in a beautiful and peaceful bay. 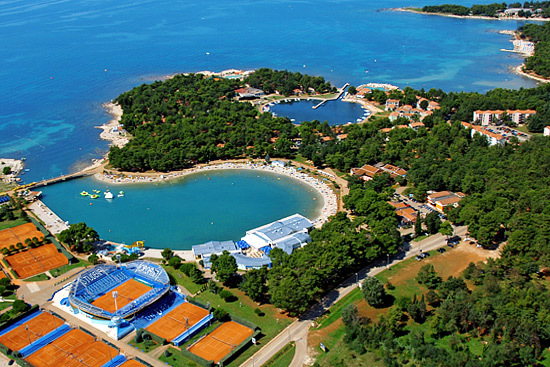 In Camp Park Umag is located and the Eco Park, where guests have the opportunity to learn about Istrian way of life, traditions and indigenous vegetation. 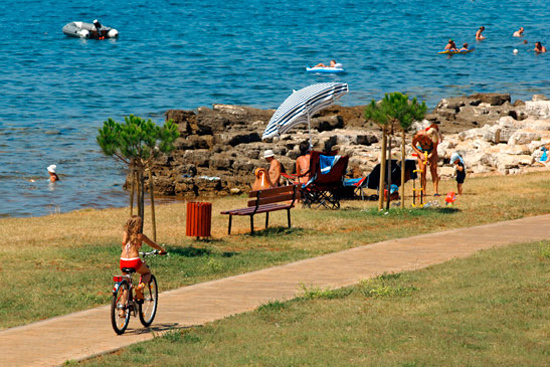 For sports fans, there are tennis courts, jogging and tracking track, shooting and they are offered to rent bikes and speed boats and many water sports.